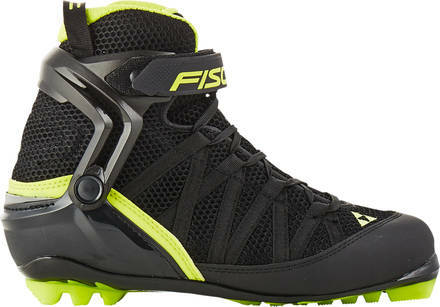 Fischer has made these brilliant rollerski boots for entry to intermediate skiers. They are compatible with NNN bindings, Turnamic bindings and Prolink bindings. The RC roller ski boots are a combi boot - this means that they still have the softer outer sole for proper flex when classic rollerskiing. But the boots are designed with a high cuff that really enhances the balance properties and power transfer. 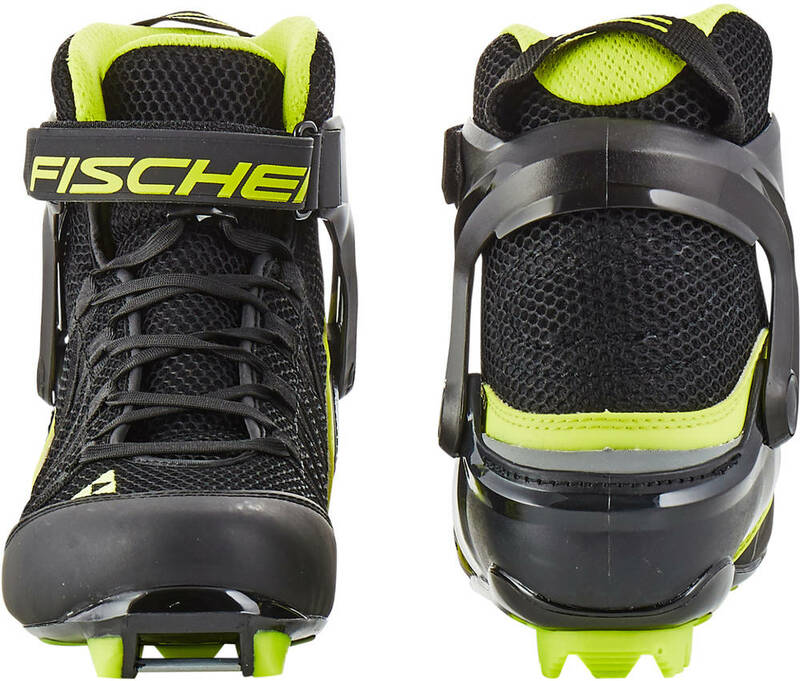 The high cuff makes the boots also suitable for some rollerski skating. The RC combi boots are particularly breathable and lightweight as they have no on-top boot-cover. This means that they are great on sunny and dry days. A boot for cruising, training and even races.